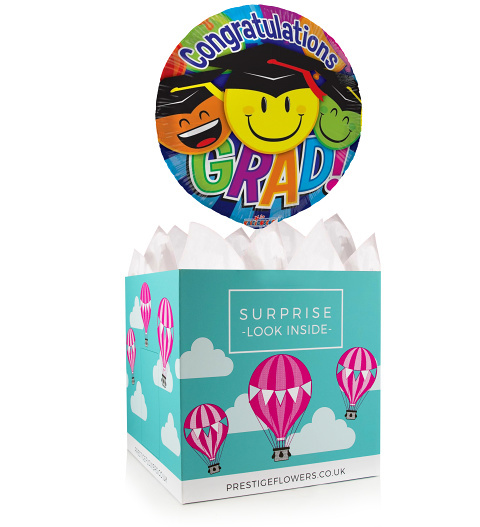 We have selected a fun and colourful 18-inch helium balloon along with a gift box to celebrate a loved one's graduation. We also offer a selection of optional extras such as wine, chocolates, cake, and cuddly bears. Be sure to write a personal message so that we can include it with this gift.